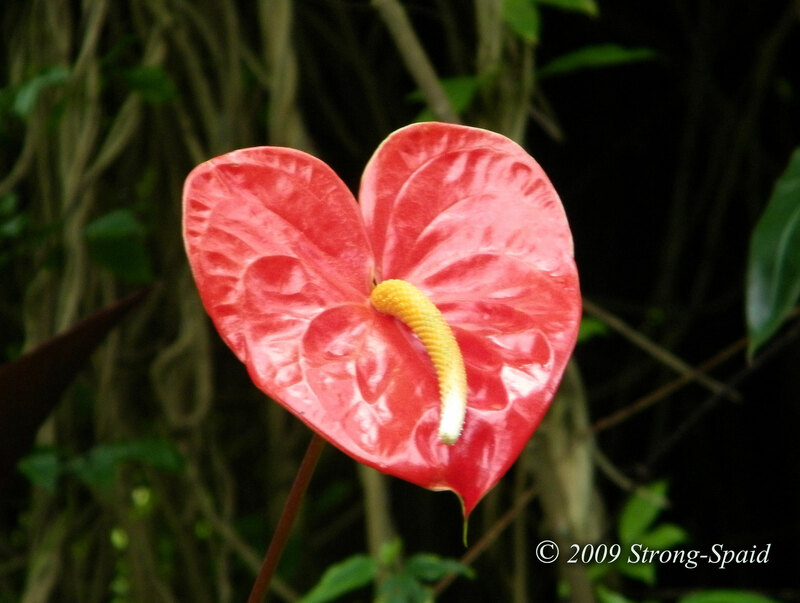 Although this flower is native to South America (Ecuador, Colombia, Venezuela, Peru), the first time that I saw Anthurium was when I was visiting Hawaii. At first, I didn’t think it was real—I couldn’t stop staring. I reached out, touched it, and found it was live! So I took a picture. Pictures last longer (or so I am told). No need to say what. This entry was posted in Nature, photography, Poetry, Travel. Bookmark the permalink.